2- dans la fenêtre "Trouver" taper: CDRH NANCY-OCHEY puis clic sur "Trouver"
Les 22 parutions sont téléchargeables gratuitement. Events : Operation "Freedom Falcon" updated ! Happy Easter to all our reader ! Truly a piece of aviation history.- This may very well be the best documented website on the net of all Vintage Propeller aircraft – lots of photographs, all well documented with history and final resting places. Most pictures can be enlarged with a click. "This is the last scheduled Douglas DC-6 of SABENA, at Budapest, leaving for BRU. The Caravelle came next time on! - I took this photo in 1963 or 1964." OO-SQD c/n 44695/582 went on to Jean-Claude Bergey (TR-LOX, dba Apollo, operated in Biafra) and onto Gabonair as TR-LQE, Trans Gabon, Air Gabon and the trail went cold after that (probably scrapped by now or a wreck somewhere in the jungle, overgrown). Aaahhh.... those were the days!" In the background one can also see the conversion of 'swingtail configuration' on the Spantax DC-6B, EC-BBK. There is even a glimpse of a Braniff International Boeing 720! Yes indeed, Braniff's 720s rotated through Brussels for a (Boeing) update. SABENA performed for many years contract work for Douglas and Boeing.
" I remember the Belgian Air Force used to call their C-119's Packets or Charlie One Nineteen. We used to see them regularly at Newcastle and previously RAF Ouston on their trooping flights for "Operation Over Tyne" (which it is still called today) at the Otterburn Ranges in Northumberland, England. In the latter days of its service we used to provide a handling service (Ground Power usually) at Newcastle to the BAF and they referred to them as Packets or Charlie One Nineteen and certainly used the latter on the R/T to I/D their type when on initial call. Also telex messages never mentioned anything other than Packet or C-119 - Boxcar was never ever used, it was the same in Diplomatic Clearances to ATC. If we had crews from both the C-119 and DC-6A in the office at the same time and you asked who is flying what - it was always the Packet or Charlie One Nineteen. "CP-31 - was at RAF Ouston (still used by the Army!) which is located about 5 miles north west of Newcastle Airport, it was hard to get good sharp photographs of taxying aircraft due to my camera having a manual focus and the fastest shutter speed being 1/300 - the C-119's used to taxi past at quite a speed as it was some distance to the main runway." C-119G OT-CBJ / CP-30 (10998), NCL 01Aug 69. Forty-six C-119s were delivered to the Belgian Air Force from 1952 onwards, initially C-119F's (1951 serials), and later C-119G's. - Eight of the C-119F's were passed to the Norwegian Air Force during June-Sep. 1956 and the remaining ten were converted to 'G' standard in 1959, with some re-serialling. The C-119G's CP-19 to CP-40 were delivered between 10Aug53 and 20Mar54 with CP-41 to CP-46 following ex-USAF in Feb58. All aircraft served with 15 Wing only, amassing some 154,157 flying hours until retired during 1972-73. Most went into storage at Koksijde, but CP-29 and CP-37 were believed to be sold to Ethiopia and CP-46 went to the Brussels Museum.
" The official name of the C-82 was "Packet." The first few C-82s were built by North American and they designed it, but Fairchild took over the contract and tooled up to built 200-plus C-82As. The C-82 had its shortcomings, so a 'redesign' was done, and the result was the XC-82B, still called a Packet. The new design was such a great and radical departure from the C-82 that the Air Force gave it a new designation: C-119A. The XC-82B and the C-119A were the same, one-off airplane, tail number 45-7769, pulled from the C-82 line and re-worked. It gets counted as two different airplanes, but it was the same one. When a contract was let to build 55 of the new C-119s in 1946, they were designated C-119B. Fairchild insisted it was just a redesigned C-82 Packet and they never changed the name. The official name of the C-119 was also "Packet," same as the C-82. Both the C-82 and the C-119, all the way to the last C-119G off the assembly line, 53-7884, were officially named Packet. C-119Js got a beaver-tail with an open-in-flight cargo door, C-119Ks got small jets under the wings, and C-119Ls got 3-bladed props--all still called Packet, including the C models and F models. There were no D or E model other than design submissions. All C-119s were eventually modified to G models. There was a one-off C-119H, a C model pulled off the assembly line and extensively modified to compete for the contract ultimately won by Lockheed with the C-130. All Flying Boxcars, Dollar-Nineteens, Charlie one one niners, Shadows Stingers, etc., manufactured by North American, Fairchild and Kaiser-Fraser.... were Packets." Le Mezek est la version tchécoslovaque du Messerschmitt Bf109. C’est aussi le premier avion d’arme avec lequel, en 1948, le jeune état d’Israël gagna son indépendance. En mai 1948, l’état d’Israël proclame son indépendance. Cet acte politique déclenche une guerre d’indépendance. Pour faire face aux attaques des pays arabes voisins et faute de disposer des ressources en interne, Israël va faire appel à des pilotes étrangers et en particulier à des mercenaires de tout horizon. Placé sous embargo, il va également s’équiper de matériels volants de récupération, notamment de chasseurs Mezek, modèle tchèque du Messerschmitt Bf109 équipé d’un lourd moteur de bombardiers qui va très vite révéler ses faiblesses. RAF Fairford in Gloucestershire on July 16 & 17. However, the Red Devils have now reformed, flying SF-260 aircraft, and they plan to return to the Air Tattoo in the summer to celebrate their historic links with the airshow. 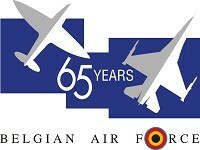 www.belgian-wings.be News headline : 21/04 - The "Red Devils" aerobatic team reborn for the 2011 display season. 21/04 - The "Red Devils" aerobatic team reborn for the 2011 display season. « Eind november 1908 : Pierre de Caters schrijft met zijn Voisin-tweedekker de eerste pagina van de Belgische luchtvaart. Dankzij hem richten de gebroeders Bollekens het eerste Belgisch bedrijf in de vliegtuigconstructie op. Het zijn de gebroeders Tips die als eersten in 1909 de lucht ingaan met een vliegtuig waarvan zowel de romp als de motor door hen werden ontworpen. Vanaf 1910 beseffen de militairen alle voordelen die het gebruik van een vliegtuig biedt. Georges Nélis wordt de eerste militaire piloot. Na de Eerste Wereldoorlog ligt deze emblematische figuur aan de basis van onze burgerluchtvaart, Sabena, en van de eerste grote onderneming in het construeren van vliegtuigen, SABCA. In 1924 slaagt Nicolas Florine er als één van de allereersten in om met een soort hefschroefvliegtuig het luchtruim te kiezen. Tijdens het doornemen van de twee delen van dit groots luchtvaartfresco zal de lezer ontdekken op welke wijze de pioniers van het eerste uur en daarna hun opvolgers in België een burgerlijke en een militaire luchtvaart hebben ontworpen en ontwikkeld, waarop wij vandaag terecht fier mogen zijn. De auteurs, luitenant-generaal-vlieger Michel Mandl, ere-vleugeladjudant van Zijne Majesteit de Koning en allerlaatste stafchef van de Luchtmacht samen met de kolonel-vlieger Alphonse Dumoulin, voorheen directeur van het Licht Vliegwezen van de Landmacht en luchtvaartjournalist, zijn er in geslaagd een uiterst waardevol werk te brengen. Het verdient ontegensprekelijk zijn plaats in de bibliotheek van niet alleen de gepassioneerden van de luchtvaart doch evenzo in deze van zij die wensen een wereld vol passie te ontdekken en te begrijpen… deze van zowel de burger- als de militaire luchtvaarttechniek. Te sturen naar de Uitgeverijen Céfal, 31, Frère-Orbanlaan 4000 Luik, België of via fax : (0032) 42 54 21 20 of email cefal@skynet.be. Ik teken voor 30 mei 2011 in op deel 1 en 2 van de werken “Honderd Jaar Luchtvaarttechniek in België” door Michel Mandl en Alphone Dumoulin aan de speciale prijs van 48.00 €, verzendkosten inclusief. Ik stort 48.00 € op de rekening van Céfal, IBAN : BE84 0682 2450 0059; Bic : GKCC BEBB. Het werk wordt onder beschermende verpakking naar mijn adres opgestuurd. Bankrekening van de inschrijver : ……………………. Aldus gedaan te ……………………. op …………………..
> Vous trouverez ci-joint la Lettre du Bobcat n° 15. > Grace à votre aide, nous progressons. These are pictures of the recovery of an IL-2 fighter. The commentary was in Portuguese, and has been translated with Google Translate - so there may be a few syntax errors . April 1942 the Tte. Michail Gavrilov was already an experienced pilot. Participated in several missions with its IL-2, and several German aircraft shot down. Decorated for bravery, was 26 years old, married, 1 child. The Ilyushin IL-2 Sturmovik and its pilots had substantial involvement in World War II, to contain the German advances. During the War more than 36,000 were produced IL-2, making it one of the models produced in greater numbers in history. Ilyushin IL-2 Sturmovik, pride of the Russian aircraft of WWII. The model shown has a rear gunner to protect the aircraft from attack by fighters. There were other models that carried only the pilot. April 30, 1942 was a typical day on the Soviet front, again won by IL-2 Sturmovik, who gunned down 36 German planes and lost only nine. But one of these losses remained shrouded in mystery for decades. The IL-2 Gavrilov, after reporting attack situation in the region of Demyannsk, simply vanished. The remains of the aircraft were never found. Lieutenant Gavrilov still wearing his uniform, helmet and boots of battle, but there was no identification, gun, parachute and watch, which means that the plane was found and looted. It is assumed that by attacking the enemy, the Sturmovik of Gavrilov was hit by an anti-aircraft battery, forcing him to a forced landing. The answer Gavrilov died during landing or was executed by the Germans on the ground will be given by the experts. Sad end to an important member of the most courageous team of pilots of WWII. Gavrilov curiosity was not the only one. In 2008 the pilot Boris Lazarev was found in his plane during a polling firm Topography. The European marshes have high concentration of tannin, that inhibits the growth of bacteria. Therefore the bodies are naturally "mummified" and remain intact for hundreds of years. See the photo of the pilot hauled out of the swamp 65 years after the accident.